This is a quick WordPress tutorial that explains how to install a WordPress theme on your website through your WordPress dashboard. The installation process of a WordPress theme which you’ve downloaded as a zip file is basically quite simple and only requires a few clicks in your WordPress dashboard. Get your site up and running in no time! Will the installation of a new WordPress theme affect your current settings? After the theme has been installed properly, you can click on Activate to activate your new WordPress theme. You can now proceed with the theme configuration as stated in the theme documentation of the particular theme. There are two common issues that may occur during the installation of WordPress themes through your WordPress dashboard. The first issue is that you’ve already extracted the zip file before uploading your theme. Please note that WordPress requires a zip file in order to install the theme. That means please don’t extract the zip file and in case you’re running a program or a browser (e.g. Safari) that automatically extracts zip files after download, you need to turn that off. The other common issue is that you possibly get an error which says that the uploaded file exceeds the upload_max_filesize directive in php.ini. This error is the result of a limitation on your server which you can easily fix within a few minutes. For more information please have a look at this tutorial: How to Increase the Memory & Upload Limit in WordPress. 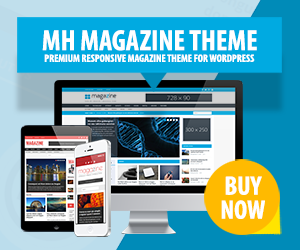 For many free WordPress themes on the market there are separate premium versions of the themes available that usually provide additional features, options and custom widgets to customize your website and the premium themes usually also include theme support and regular theme updates by the developers. Free WordPress themes that can be upgraded to premium themes usually have the appendix lite after the theme name. If you are using a lite version of a theme and have upgraded to the premium version, you can simply upload, install and activate the premium theme as stated above. After you have activated the premium version of the theme, you can proceed with the theme configuration as stated in the theme documentation of the particular WordPress theme. We often are being asked if switching WordPress themes will affect the website in a way that for example widgets have to be placed anew, settings and options have to be configured again and so on. This question usually is hard to answer – because this always depends on the particular WordPress theme and your configuration. However, usually every WordPress theme is a stand-alone theme with its own features and options that aren’t related to other themes. That means after you’ve installed a new WordPress theme, you need to configure the theme, which usually is a matter of only a few minutes. If you’ve a high-traffic website, there also are plenty of maintenance plugins available which you can use to inform your visitors that there is some maintenance going on and that your site will be available again very soon. Hi, I am new to WordPress. I have installed WordPress on my local system. Nothing is showing on the Add New theme page. There are just buttons like Featured, Popular, etc. but nothing getting displayed under them. Upload theme is also not going to next screen after clicking on it. Any help will be much appreciated. Hi Anupam, it seems your WordPress installation has an issue. If troubleshooting doesn’t help, then probably it would be best to re-install WordPress on your local development environment to ensure that all files are in place properly or you could already install WordPress at your host where you plan to run your website. Most hosting companies nowadays offer one-click WordPress installs, which usually works fine out of the box. Hi there, thanks for your guided article on WordPress theme installation. From this writing, users will get help with problems which they may be facing during theme installation.